Put those polar bears on a diet! 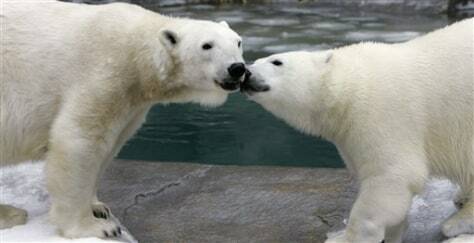 A pair of polar bears nuzzle each other at the Chicago Zoological Society's Brookfield Zoo in Illinois. Zoo staffers are trying new feeding tricks to keep their animals healthy.